Thank you for taking the time to share your knowledge and experience through these podcasts. Two questions.. you recommend ‘building a brand’ with similar products – and whilst I understand the concept and potential value of having a line of products that complement each other as a way to generate further sales, in my experience, and that of friends and associates I have mentioned this to, (who like myself frequently buy diverse products from Amazon and eBay) the consensus is that we seldom return to a supplier we have purchased from to purchase an ‘associated’ product’. As someone new to this, I may be missing the point – please enlighten! 🙂 – generally, I buy and forget and just buy what I need or want. I don’t think I’ve ever returned to a previous supplier to see what else they have. In fact I can’t recall having ever returned to Amazon to repurchase the same product from the same supplier, but interestingly I do from eBay. Hope this is making some kind of sense! Second question.. wondering if the BSR’s you refer to apply to all markets? The population in the UK is about a quarter of that in the US, so should we scale down the BSR’s accordingly? Hey Malcom, the key thing in business is to remember that we are not our customers. There are quite a few buyers out there who are “brand loyal” and will buy from you repeatedly, just like you do with Amazon. The other reason is because it’s easier to find and launch related products. Especially if your existing supplier makes them! Hi Scott, please how did you get the approval to sell the items listed on Amazon as “Categories and Products Requiring Approval” since the item I intend to sell fall on this category, and I also feel most items one can sell profitably on the FBA fall on this category, please how do I go about getting the approval because I read the application details and requirements, and they are way too much….they asked for these: Details about your products, including brands and quantities. An estimate of your annual revenue from the products you plan to list in the category. Your contact information and a description of your company. Hey Frank, you do indeed have to provide them with those details (they will vary a bit by category. Getting ungated in any of those categories is fairly simple if you provide them with what they ask (even if you have to say $0 on the annual revenue part). Love your podcasts. Thank you so much for your generosity in sharing your experience and knowledge. It has been a long and winding road, but I have found my way to the world of FBA, and I’m super excited. My first product samples are on their way (or will be after the Chinese New Year! LOL!) Timing!! But I keep second guessing it. Overthinking has always been a my downfall. I just listened to your interview with Greg Mercer, which really helped. My question is, I guess I missed it, what is the formula for figuring out how much products are selling per month? I understand BSR, and it probably depends on the category, but how do you figure if a product is making a certain amount of sales or money per month?? Thanks so much. I appreciate you. Happy Chinese New Year!!! If you’re not using JungleScout to help you find that sales volume (you should be). You have to use the 999 method. Basically you add the competitors product to your cart and type in a quantity of 999. Amazon will come back and say there are only 800 in stock (or whatever the number is) and then when you do it the next day. You subtract the two numbers. The difference in stock, is the number of units sold! Repeat that for a few days and you’ll have an idea of the volume for each listing! Hi Scott! I’m really enjoying your podcasts and I am researching items for private labeling. Some of the items I am looking into, have the first 2 or 3 sellers at a high Bsr. They are each selling over 2000 a month. the next few sellers after them are also selling over 200 a month (some over 300…). Although they are selling alot they dont have too many reviews (2 of them have 150 reviews the other ones have mostly under 50). is there still room for me or is it to competitive? Hey Moshe, you generally want to see those sales spread a little more evenly across the top sellers, but if you can hit your sales goals by squeezing onto the first page, it may be worth a look. I heard of you while watching the product launch of junglestix by greg mercer. you were awesome in helping setup the listing, plus the tips you provided. I jotted those down and hope to use them once I’m up and running. I’ve since then downloaded as many podcasts as I can and I’m devouring each one. Priceless stuff! My question to you is, I am already bringing in a product from China. I am selling them on my own website and on ebay for quite a few years. I can’t say that I’m making millions, but it is selling. For some reason, on Amazon this item does not have much appeal. I can’t seem to understand why not. I have no problem sharing my product. I sell solid brass ball bearing hinges. These are top quality hinges. We have a 100% satisfaction rating on ebay. Whoever touches our stuff, loves it. Yet, on amazon I’m not even making a fraction of the sales as I am on ebay. When I do the keyword research for this product on amazon, the results are quite dismal. It seems that nobody is making much sales. Is there some sort of explanation why a product that sells thousands on ebay (over the years) doesn’t sell on amazon?? Hey Mendy, the short answer is probably that the demand for that product is just different. It could be that eBay is a place that people think to go to find that product and not Amazon (most likely). The other thing you may want to look at is if “the broader” version of the product is selling in a high volume or if other “similar” products are selling well on Amazon! Hey Aldo it absolutely works outside the US! In fact, I just had a great international seller on the show in episode 149! Thank you for creating the podcast Scott! I’m so happy I discovered you today. Great podcast and I’ve filled several pages in my notebook and spent the day researching and listening to you. I’m a new FBA seller and very excited about Private Labeling and the amazing opportunities and support available to new entrepreneurs. Thanks again for you’re doing! I don’t know if I agree with looking for products and brands that you would want to be in for the next ten years. I don’t think most products have that kind of life cycle especially on Amazon where people will jump on your listings or try and copy you. It seems Amazon is a place where you get in and get out when you’ve made some money. Am I wrong? The whole point of this is to build a business. You can absolutely jump in make some money and jump back out, but the best way to think about this IS a long term business. I still watching and listening your videos. Lets think that I have, my product that I want to sell, my logo and brand, and ready to add the product into my amazon account for sale. 1-Do I need to do trademark registration on my brand and logo before to start? or I can just launch my product with my brand without any of this kind of registrations?. 2- If I need to register brand and logo before, Where i can find this information? I had been watching some videos, but seems no one talk about this. Hey Joselo, you don’t ever “need” to register a trademark for your brand, it just gives you an added level of protection. Obviously you would want to talk to an attorney about your specific situation. Hey Scott, love your stuff mate! Could you give your thoughts on one thing for me. I found a product that is the only one of its kind on Amazon. It has a BSR of 4000, sells about 20 units each day and have a monthly sale of circa 7k a month. Its sold at a 19 usd price. What do you think about that, is this a good product to go forward with, tweak it a bit and sell it at same range? Hey Bader, most of those numbers sound pretty good, but with only 1 competitor it’s hard to tell if there is any room in the market for you as a second seller. I like to find products with multiple competitors hitting those numbers. That way I know if I only get a few sales from each of them, I’ll likely be successful! Hi Scott, Thank you for all the great information, I am really learning a lot. I think I have picked my product but a little confused on the review and BSR numbers. Spot 1, 2 , 3 and 4 have reviews under 150 and BSR of 300 to 800 but then spot 6 and 7 have reviews of around 1300 and BSR of 1350 and I was wondering if because of spot 6 and 7 if this product would not work, help? Hey Cheryl, keep in mind that the numbers we talk about are “averages” so if you have one or two outliers in the top 10 results, it shouldn’t throw the product out of range for you! Take a look at the top 10 and average the numbers out to see if the product meets your criteria! Thank you for sharing all these info with us. I have a question for you. I have an online shop and i am selling only in my country for the moment. I have a very good niche here and also a nice combinations of products. I want to know your opinion about entering to sell on Amazon something new. You are talking about competition on a product, but do you think it`s a good ideea to come with something new on Amazon? And yes, these products can fit the criterias that you were suggesting. Thank you Scott and good luck ! Hey Elena, if by new you mean “a completely original product that has no competitors”, it can be a tough challenge to build up product awareness, but it can be done. If however you mean a “new take on an existing product” like an octaganol garlic press, for example, than I think it’s a GREAT idea. Being able to set yourself apart from the competition is key to success moving forward on Amazon. Scott I am really enjoying your podcasts. Looking forward to your living training tonight. I am curious, do you think it is worth spending the money on Jungle Scout to increase your chances of picking a good product and reduce the time spend on researching a product. I am starting with a small enough budget of $1,000. I have resisted using it and I have been trawling through Amazon researching products following the guidelines so it is becoming a tempting option. While you can absolutely do all of the research manually, using a tool like JungleScout will rapidly speed up the research process (and get you more reliable data), if it were me…I’d go for it! It’s become a go to tool in my toolkit. Can you please explain what they mean? Also, you mentioned you would bid up to 5 bucks per click…wouldn’t that increase your costs to like 50 bucks per sale? You would very rarely be paying 5 dollars per click, even if that’s your bid. In most cases to can expect to see a minimum of a 10 percent conversion rate, but from ppc it will often be much higher. Keep in mind that even if you break even with ppc, that it helps drives your rankings when people search for you organically on Amazon as well, does that make sense ? First things first, thanks for the amazing content you share. It is not obvious to share such a great content. BSR is understood, but on this podcast you recommend looking for the 5-10 first results which should be with BSR of less then 500. On the workshop you were talking about products with BSR of a few thousands.. I am a bit confused. Hey Tal, the bsr’s should be less than 5-6,000 on average and the REVIEWS should be lower than 500 on average. at what results will you look at the top 5 or for the entire page of the keyword search result? it makes a big difference.. can you explain please? Hey Tal, You generally want to look at the top 5- to 10 results in order to understand the depth of the market and get a handle on exactly what’s going on in the market. Thank you, Scott, this was very informative. I am going to start my research and tracking. Hey Lanka, it’s tough to compare BSR across categories for two reasons. The number of products, as you pointed out above, and the total sales volume in the category. Even if there are fewer products, there may be more people buying them…does that make sense? If you want a good idea of how to compare them you might want to check out the podcast and show notes over at theamazingseller.com/56 . we dive into product selection and give you a good idea of how bsr looks across different categories. Finding the right product is the hardest part to me. It makes my head hurt. Hey Zamiah, this is absolutely the hardest part of this process! Don’t give up and if you run in to any issues or have questions, please don’t hesitate to reach out, we are here to help! Great post. I’ve set a timeline to hit my goal in 90 days. It’s a nice clean mark. Also, can you let me know how to join the facebook group? thanks. Hey Dave, if you head over to theamazingseller.com/fb you should be good to go for the facebook group! thanks for the information. I have dabbled in private label as an Amazon seller previously with no success, currently will break the 300k/year mainly in grocery. I am loving the plain explanations and will use your system to create a product and see how it goes. I just discovered your podcast on you tube yesterday and I have been “devouering” them since I think they are packed with straightforwaed information on FBA like no other source I came across i the last couple of weeks. Thank you so much for sharing your experience with newbies in Amazon like myself ! I have a question about the product selection process. You say looking at products up to a bestseller rank of 500 but this is about the first product on the page of results? And what about the second and third product ranks? what should be the rank of the tenth product on the first page of results. Hey Diego, you’re going to want the first few (5-10) listing to average out to that 5,000 BSR or less. What about sale price when researching Scott? It may fit all the criteria you mentioned, but if the item only sells for $3.99, then surely it’s not worth considering as you would lose money after Amazon fees? What is the minimum price you look for? I like to look for products between $19 and $45 USD, the main thing I look for related to price is the ability to make at least $10 per sale in profit. Another legal business, like Legalzoom is Legal Shield. I’ve used them occasionally since about 2010. Excellent information! 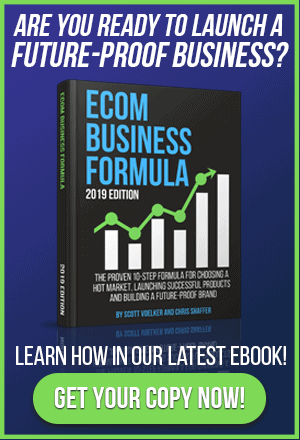 This is easily the clearest explanation of how to select a product that I have seen during my two weeks of researching e- commerce businesses. I think this is the plan to follow! Hi Scott, I’ve heard a lot about looking at the BSR when choosing a product but I’m not sure how exactly to go about doing this. Every product has it’s own unique BSR. Even if you are selling an identical product, there are many different factors which go into determining its BSR such as rankings, title, description, photos, reviews etc. That’s why if you check the BSR for listings of the same product you see sometimes vastly different BSR numbers. Title, description, and photos, don’t really play a role in BSR. BSR is simply Amazon’s way of letting us know how things are selling compared to everything else. So for example, something with a BSR of 1 is selling the most in the category, while BSR 2 would be the second most. Does that make sense? The reason you see different BSR’s on products in the same search, is because they are all selling different numbers of units! Hi Scott, really appreciate all the content. Very inspiring. Just a quick one regarding pricing. What price range would you recommend looking for when researching products? For example, here in the UK the minimum price for free delivery is £20. Should I be looking at products that I can sell that are over this figure, or would you say not to worry about price? I like to sell products that will net me around a $10 profit per unit, which in the US generally means products above the $19.99 price point. Hope that helps! Hi Scott would you be able to tell me or point to me to one of your podcast for an effective product research?. I seems had a problem to even start and dont know how or even where to begin and getting the inspiration. there are a few podcasts that will help you out, https://theamazingseller.com/start-here/, I’d also suggest checking out the workshop if you’d like a condensed version. You can find it in the product details section, above the product reviews. Keep in mind that not every category shows BSR in this section, if you don’t see a BSR either the product isn’t selling or it’s in a category that doesn’t show the BSR. Take a look at a few other products and that will tell you which is true for the products that you’re looking at. Big thanks to helping all of us out. I think i speak on behalf of everyone here when i say that i appreciate what your doing. Thankyou. So its time to pick a product which could be the hardest part on the whole thing on deciding. Just want to know what your thoughts are on having a 2nd and 3rd product thats related and also not related to the first product? e.g. lets say i only sell wooden objects but each product caters for different departments. Would you think this is possible? I would try and target one market at first and then put a spin on the same products for another crowd. Hope that makes sense. Oh, yeah, and of course, THANK YOU!!! Thank you so much for taking all of your time and Energy to put together these podcasts. You have inspired me to try a small business of my own. You can use a basic Paypal account to send money to suppliers. I don’t think that it will look like you are less of a business either. A free site that can help with finding below 500 BSR is FBA Toolkit. Be aware that it’s not the most accurate information but it’s free and can help with brainstorming product ideas. Scott, do we need to apply different numbers (BSRs) to the U.K? Obivously a smaller population? However I understand the U.K. may have Europe as part of its BSR rankings as they ship there too? I’m sure they are different as they in different categories. Sales are always changing so a BSR of 1,000 today could be 40 sales per day, but in a week the same BSR could be more or less sales. I don’t over analyze the numbers too much. Hello Scott. Your podcast is great. Thank you very much for your time and effort. I found a product that matches the criteria that you mentioned. My concern is that there are a lot of sellers selling various versions of the product. When a product meets the criteria, at what point do you bypass it due to saturation? I only look at the numbers of if I think I can position my product in the top 5. 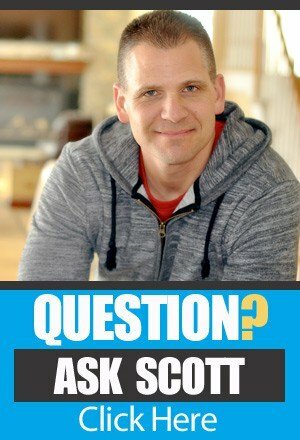 Hi Scott, great podcast! When setting up your brand name, can you use keywords in the brand? So, say you are selling potholders, can you call your brand “best potholders” for SEO purposes or will amazon not like that? Do you also have to do the brand registry for “best potholders” to list your items or can you just add it as a new listing that doesn’t exist? Thanks for your help! Hi Scott, I’m a complete newbie. I hate my job and I’m looking for an alternative. I’ve actually done private label projects in the past for my former employer, so this concept is very intriguing to me. However, I must be really stupid because I can’t find where to find these BSR ratings you’re talking about! These #s of BSR of 500 or less? Where are you finding these? I know the feeling of working at a job you hate. It stinks. The BSR can be found just above the description. Some categories don’t have one, but most do. I’ll be covering this on the workshop I’m hosting. I am working on private labelling a product from one of the subcategories. Here there are two sellers with more than 1000 reviews.. However, everyone else is under 100 reviews. Won’t this be a good choice? Not necessarily. I would look at the BSR of the other products an see if they are selling too. If the listings that have 1,000 reviews are grabbing most of the sales…it will be hard to compete. But, if the ones that have 100 reviews still have good BSR rankings…then maybe it’s a good choice. I’m new to Amazon FBA and your podcast has been a GODSEND. You saw a big need in the marketplace and you’re serving it very well – entrepreneurship at its best! Quick question – I’m thinking of getting into a category that’s not a “top level category” (the top level category is “Sports and Outdoors” and the category I want to start selling products in is a subcategory of a subcategory of a subcategory [you get the picture]). When I evaluate BSR for the top 5 products for the main keyword, they look good but product #1 has a BSR of 686 in clothing, product #2 has a BSR of 1084 in sports and outdoors, product #3 has a BSR of 4571 in clothing, product #4 has a BSR of 4029 in sports and outdoors, and product #5 has a BSR of 24606 in clothing. The BSR’s are all over the place for different categories. Is this a bad sign? Based on your guidelines in this podcast you would avoid this product because of the BSR’s, but I wanted your opinion about the BSR analysis. BTW, the products selling price is ~$19.99 and reviews fit the criteria. The numbers I talk about on the podcast are just a guide. Like you said…every category is different. A BSR in Beauty is going to be different than in Sports and Outdoors. But, if you find a BSR between 1,000 and 7,000….you can almost be sure they are selling some. It could be as little as 5 or 10 per day and depending on the category it could be 25 to 50 per day. But, if you are going after products to make 10 sales or more per day…you can usually get a good idea. Also, look at how many reviews and that will tell you about sales. If there are high number of reviews…they are most likely selling on a regular basis. It’s not always the case…but a good sign. I’ll try and dicuss this further on an upcoming show. I just started to listen to your podcast, and it is great content. appreciate it. I am wondering about your thoughts on BSR and product selection. You say that a BSR of 500 or below usually creates 50+ sales. When looking at Ryan’s yoga mat is has a BSR overall of #4,225 in Sports & Outdoors and #9 in Sports & Outdoors > Exercise & Fitness > Yoga > Straps. However he’s selling 40+ yoga mats a day (according to the podcast). Is there something I have misunderstood about you BSR ranking and product selection? The numbers I share I only estimates and are different for different markets. For example, if you’re in the Health and Beauty category your BSR will be different than if you’re in Automotive. There’s more sales in the Health and Beauty than the Automotive category. So, a BSR of 500 could 50 units in one market, but 150 in another. But, my strategy in the beginning was different. I was looking for a product that could produce at least 25 sales per day. I had a pretty good idea that BSR 500 would give me those numbers. Once you are in a category and you start to get sales, you will know what the BSR is for your category and it will be easier to pick products in the future. I’ll discuss this on an upcoming podcast with more details. Thank you for your answer. Looking forward to the podcast. The website camelcamelcamel.com is another tool to research the past BSR and price history of any Amazon product you are looking to private label. Well done Scott. I love how you really dug deep into picking a category and product completion research. I am starting my search for my first product. I like how episode 2 gave an over view of the steps and episode 3 focuses on the first step. It is really hard because my mind has so many other questions, but my questions relate to steps way down the line. Thanks for helping me stay on track. Side Note: In my opinion, its okay to use the word “we” because even though you think you are one person making a podcast, there are others on your team like me cheering you one and supporting your efforts. So please keep saying “we”. First of all, thank you so much for starting this podcast! Two weeks ago, after listening to a podcast with Ryan Moran I decided to build my own private label business. So your podcast is exactly what I have been looking for! I have a question about the product selection process. You mentioned looking at products up to a bestseller rank of 500. I know how to look up the top 100 in a category but was wondering if there is a way to look up the top 500? Thanks for the question Sonja and the kind words. There’s no magical way to look for the top 500, but what you do is start looking in subcategories once you find a product idea. I will start by finding a product I’m interested in and then looking at other related products. Let’s say you find something that interest you in the top 100, I will see what other products that brand is selling that are related. Then I drill deeper into sub categories. It takes time and more time to dig for these products. But, once you find one…it’s pure gold. I’ll try to mention this on the Podcast and elaborate. I’m still confused. I hear you (and Andy Slamans) talk about looking for products well below the top 100. I think Andy was talking about below the top 1000. How does one find out rankings beyond the top 100? I also will find a product that is selling really well, but then look at other products that brand is selling and then see if there’s any others that look good. It can also just give you new ideas to start drilling down into. I just found your podcast and am excited to get into it because I have been interested in Amazon FBA selling for a while now, but like many others I’m confused/overwhelmed by the product research part. I was wondering if it would be at all feasible for you to do a video of yourself actually going through the process so we can see it. I think seeing you go through and finding a good product and a not so good product will be extremely helpful. I’m loving the information so far though- thanks so much!